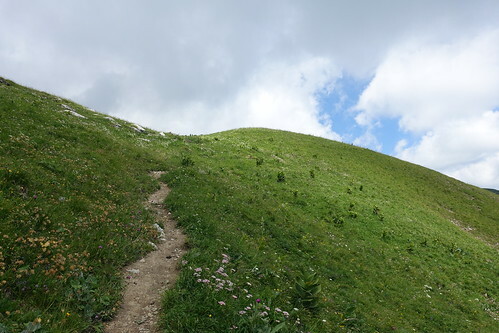 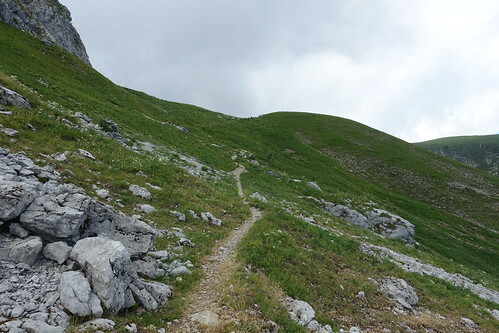 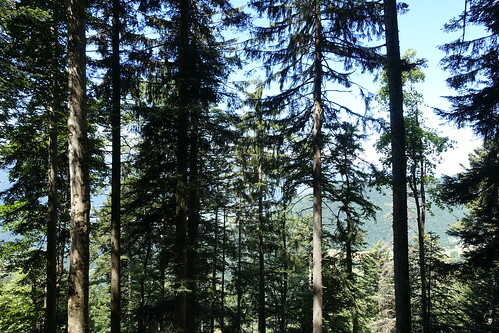 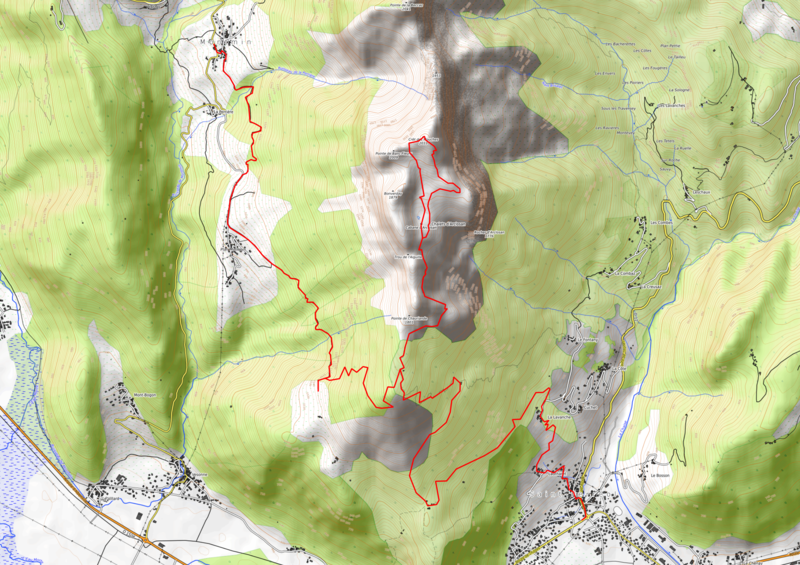 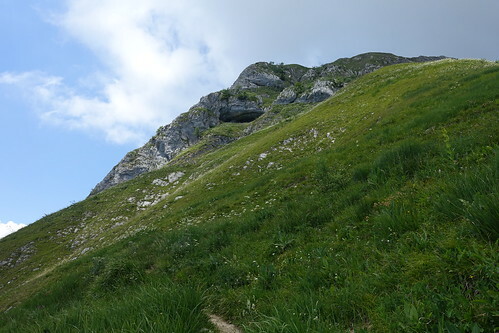 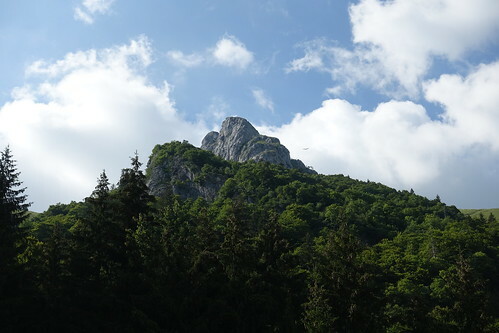 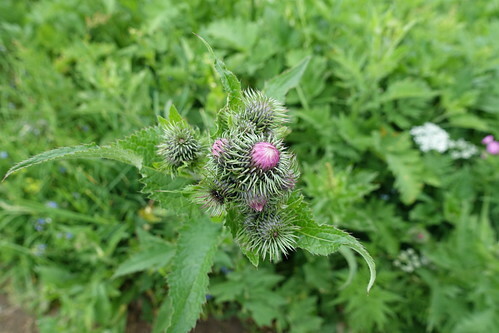 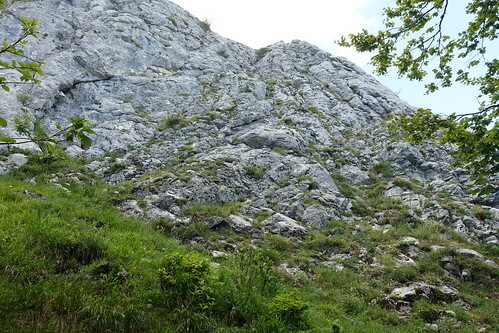 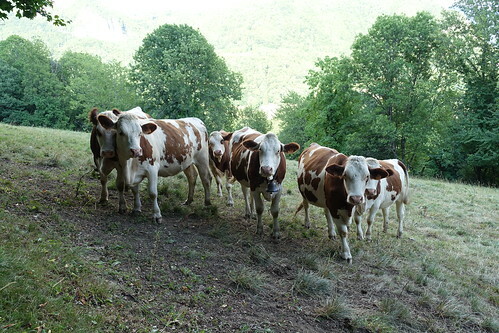 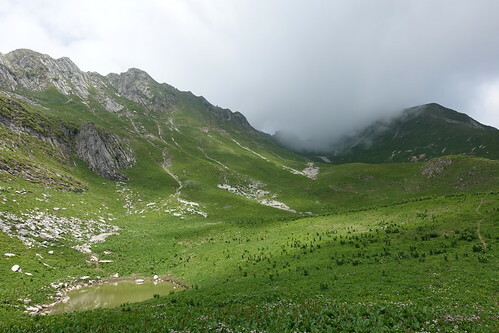 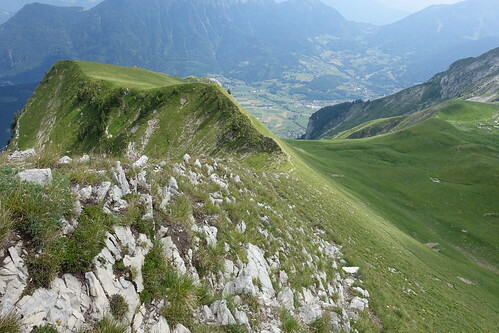 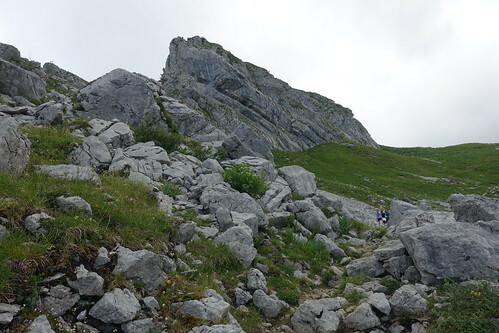 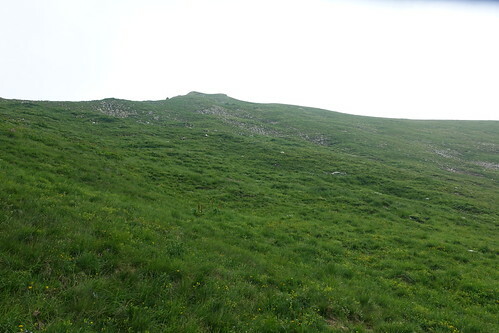 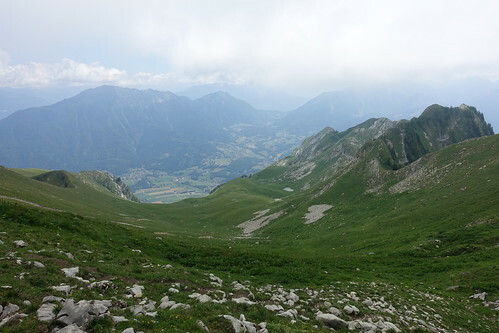 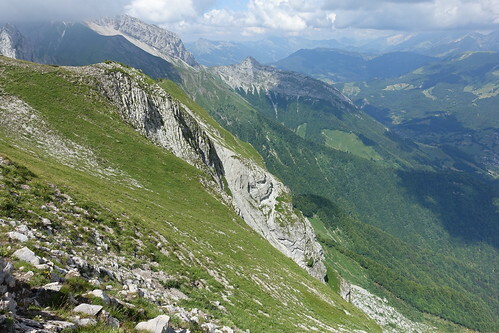 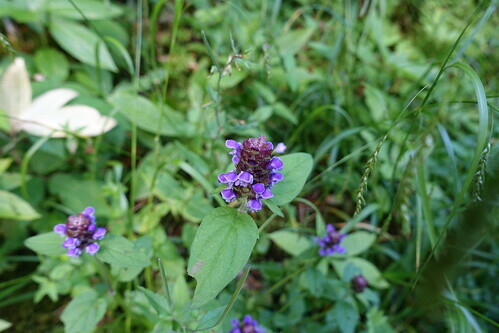 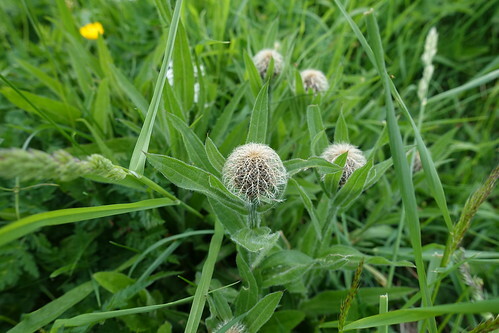 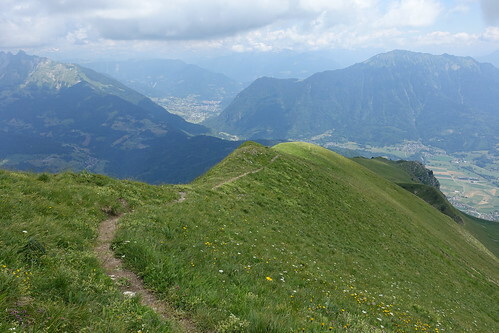 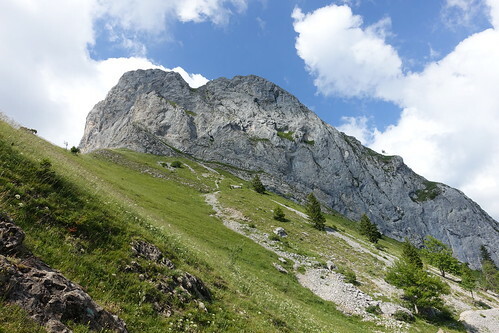 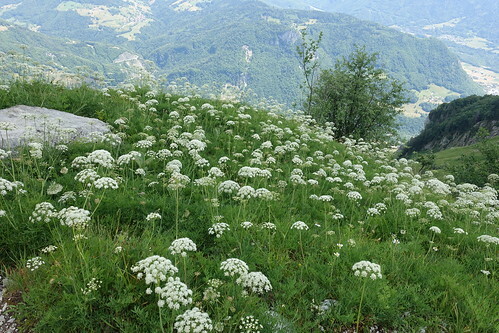 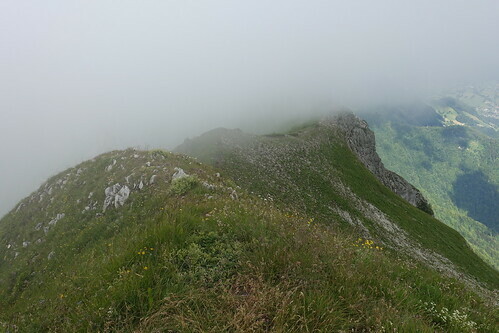 Last summer, I went on a hike to Crêt des Mouches, a mountain in the Bornes next to La Tournette. 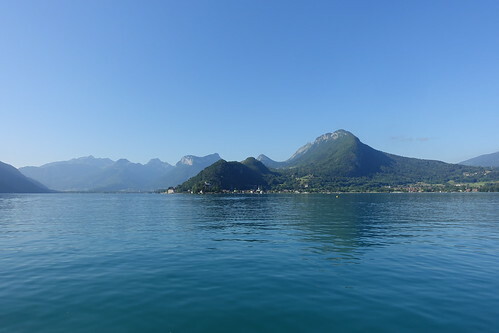 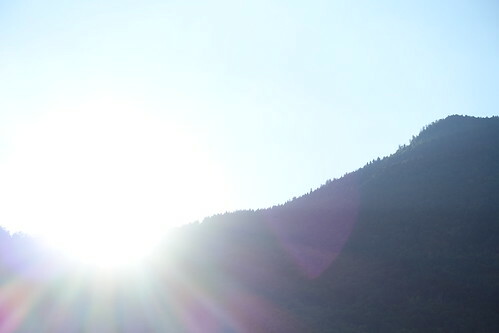 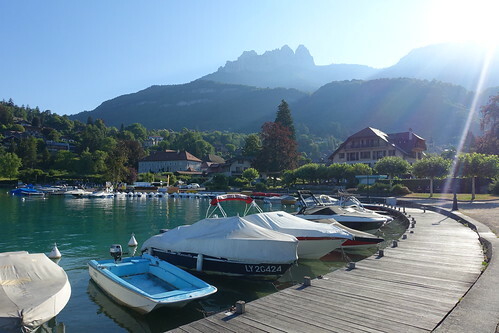 In the morning, I took a LIHSA bus from Annecy to Talloires. 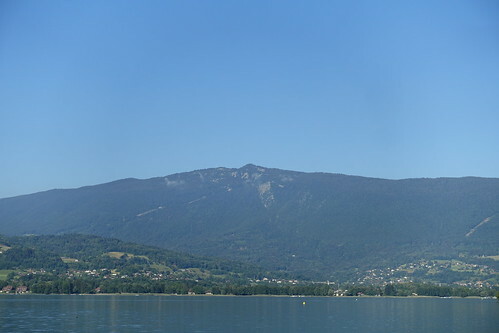 While I waited for the summer shuttle to Montmin, I walked next to the lake. 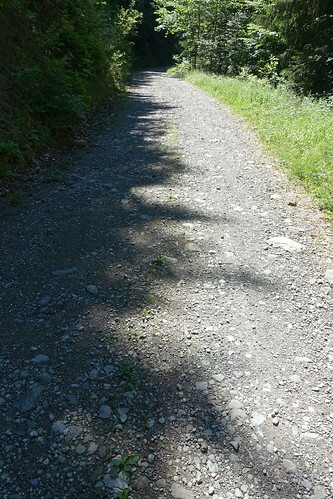 Once in Montmin, I started on the path. 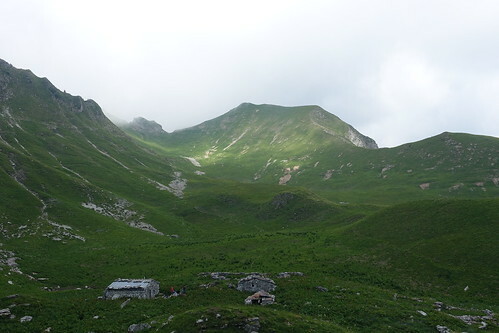 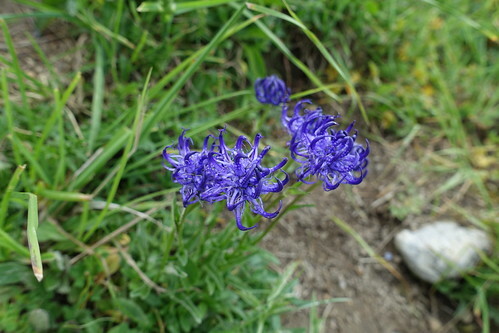 I reached the Cabane d’Arclosan after a while. 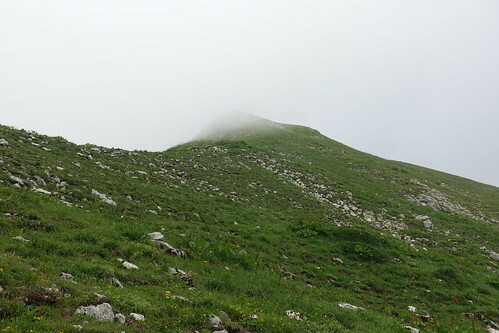 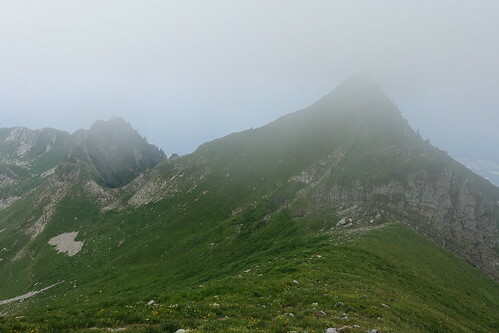 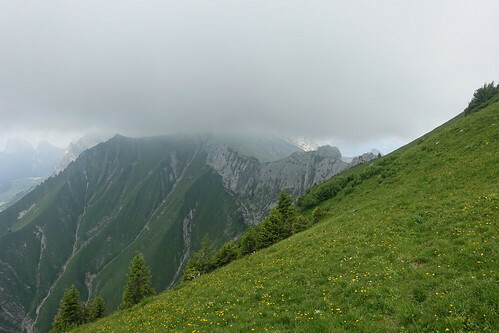 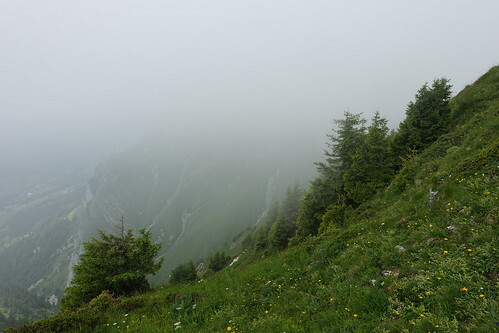 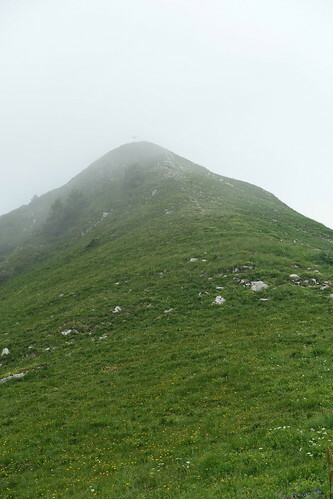 By then, the fog had covered the summits of Crêt des Mouches and La Tournette but I kept going up. 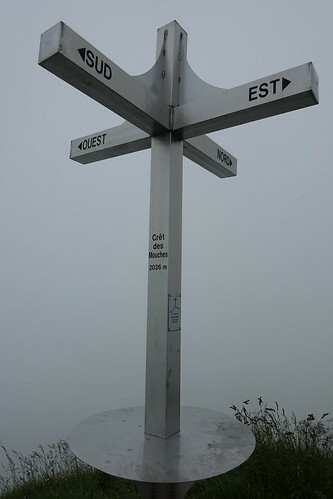 Once at the summit, the view was limited but the clouds lifted a little while I was there. 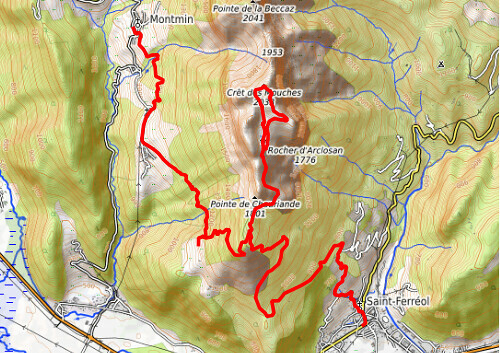 On the way down, I first walked a loop to get back to the Cabane then took the same trail as on the way up, until Pointe de Chauriande. 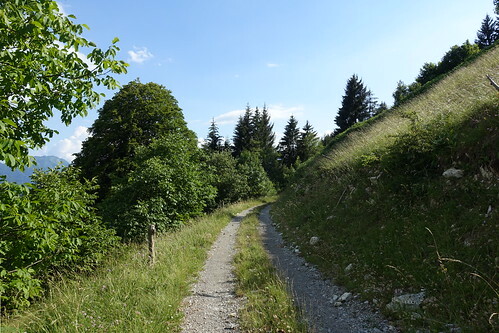 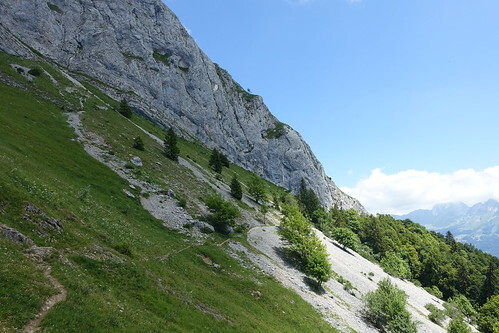 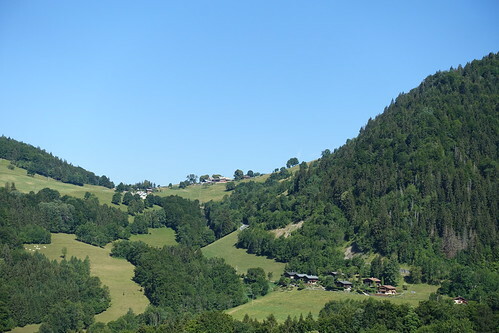 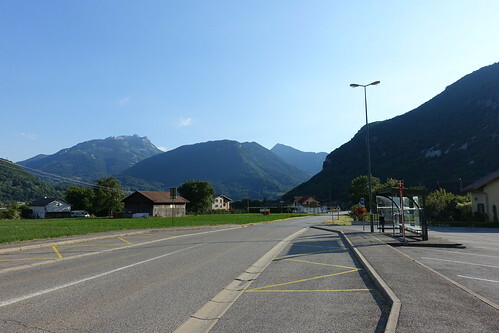 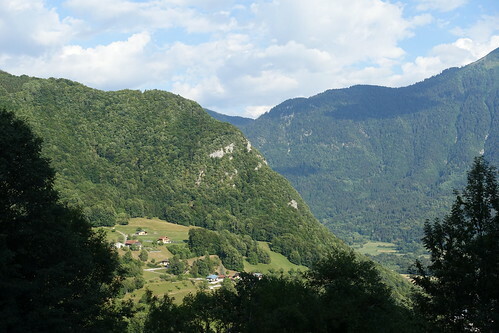 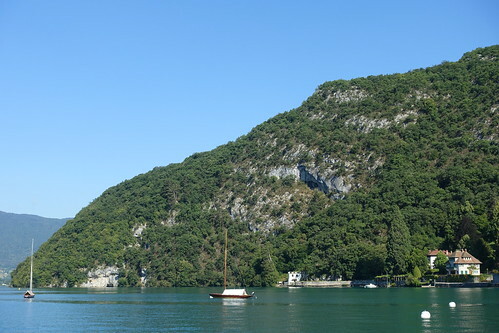 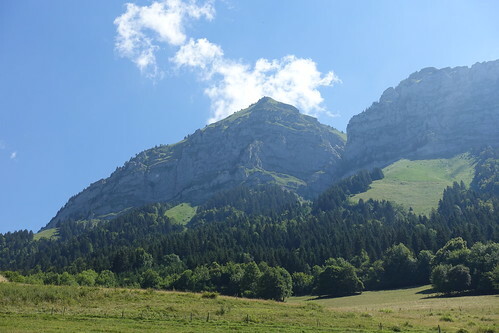 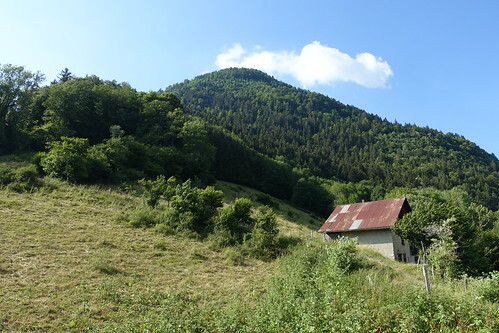 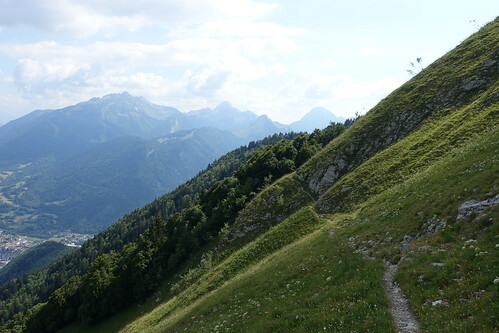 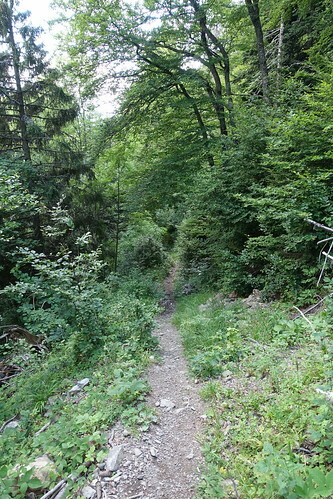 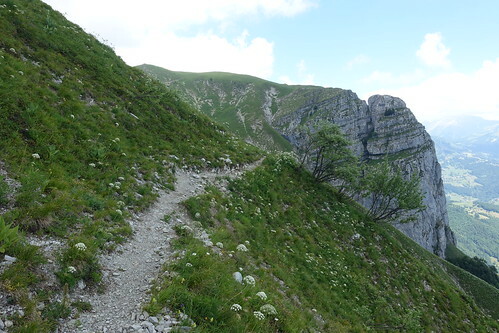 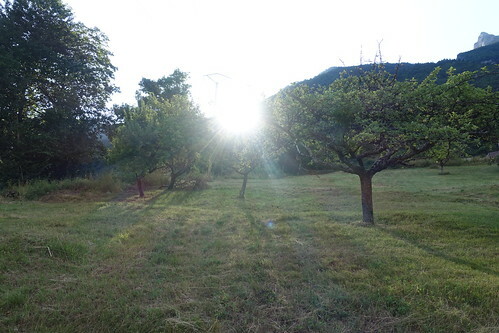 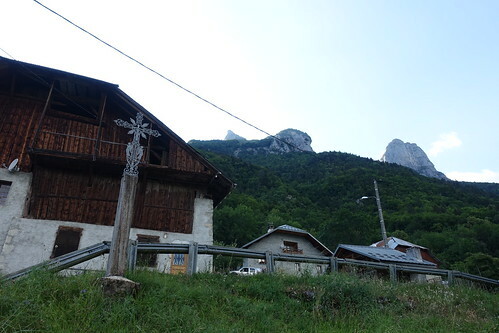 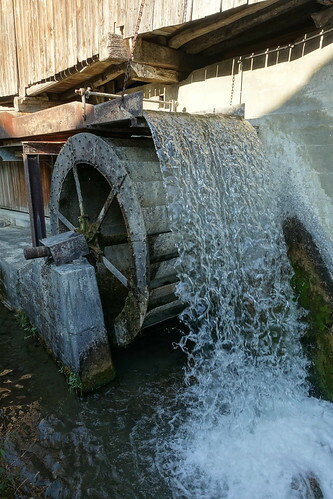 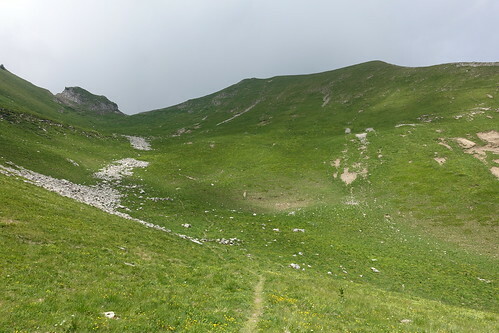 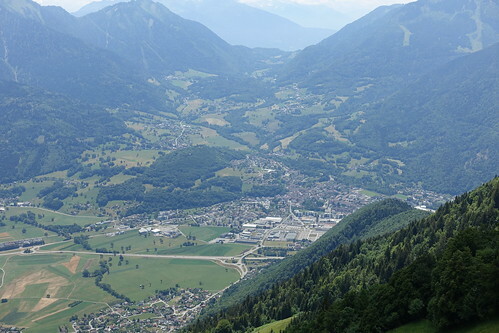 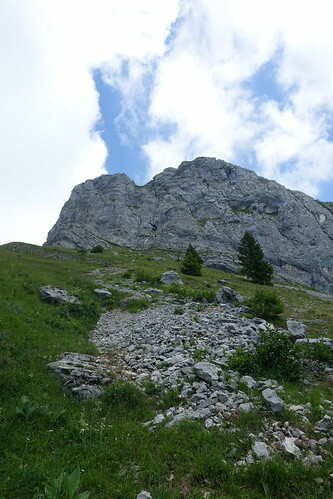 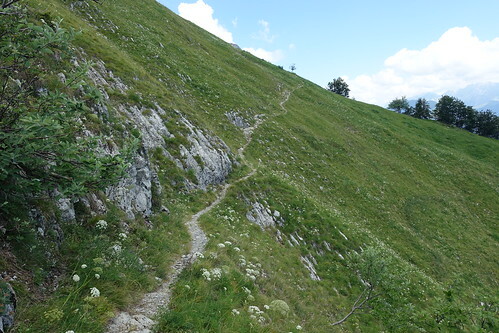 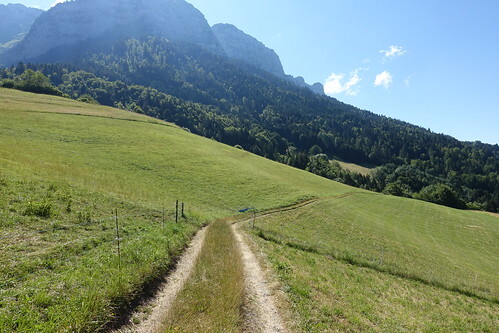 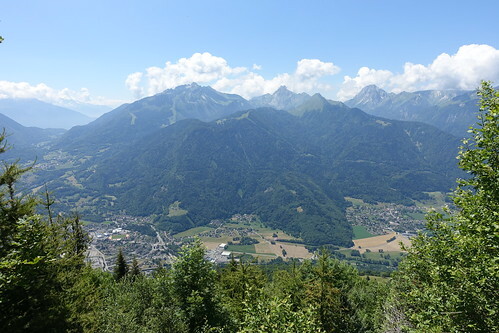 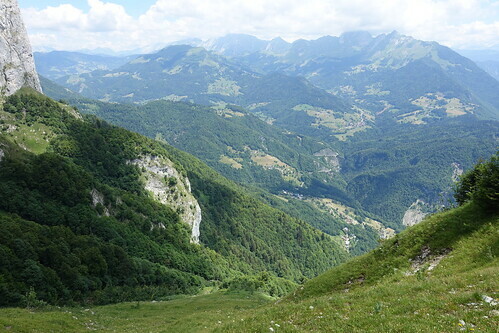 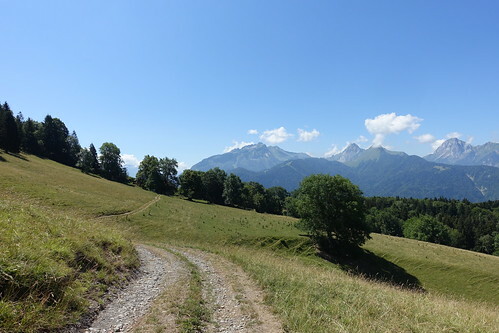 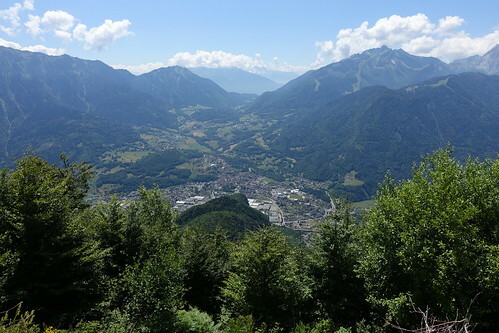 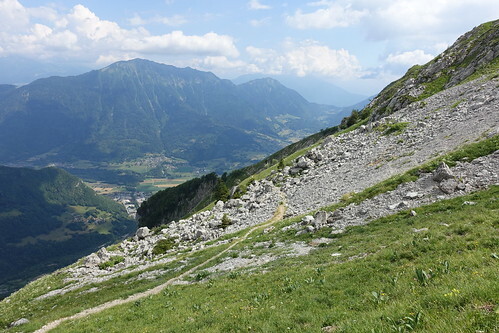 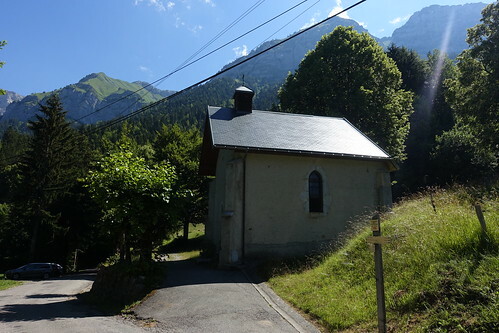 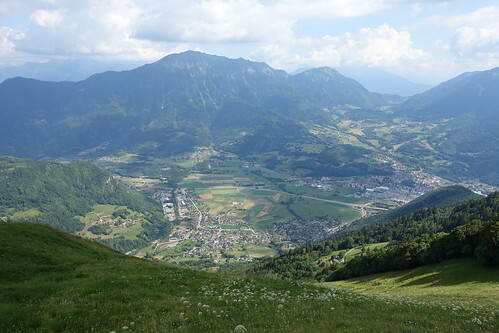 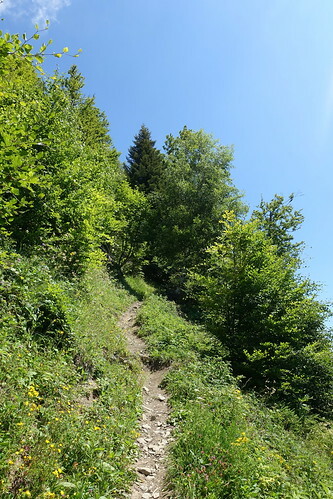 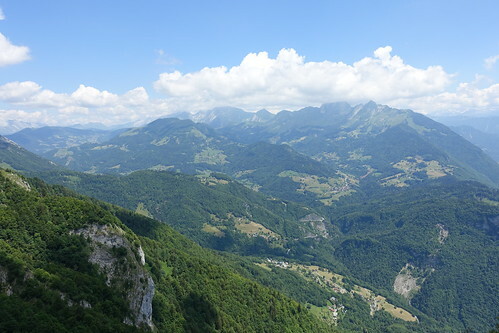 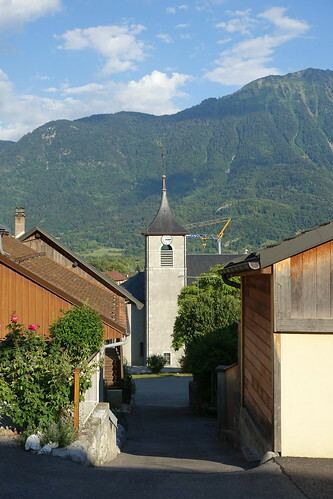 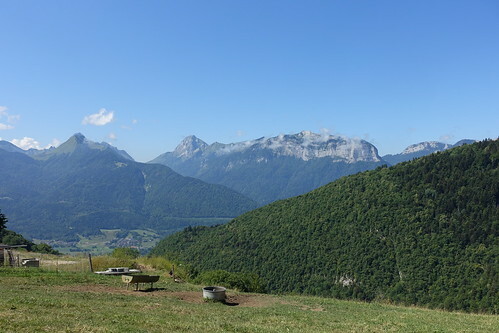 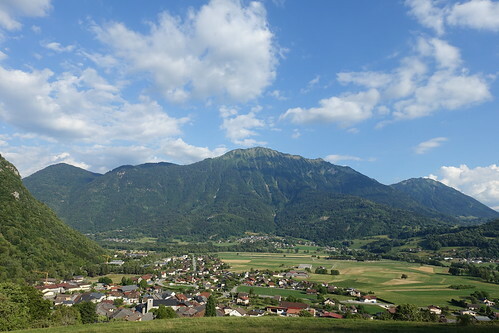 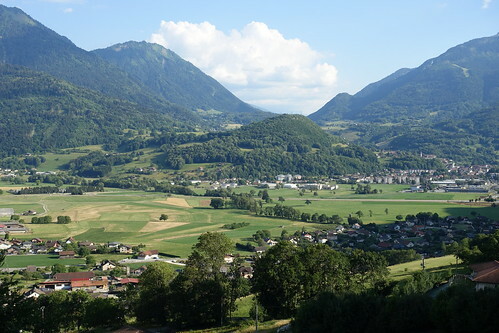 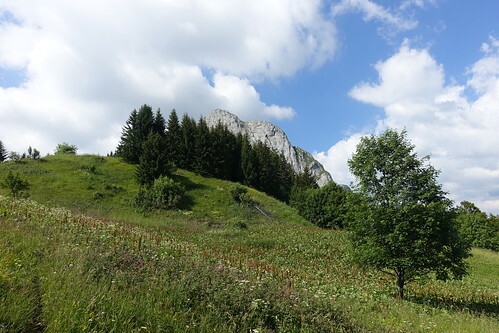 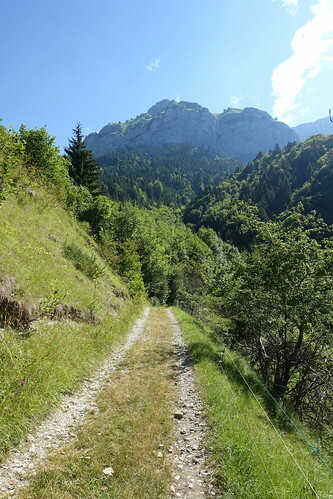 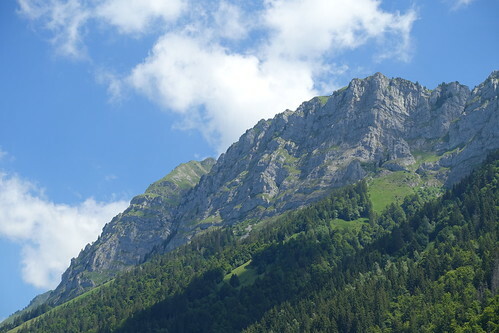 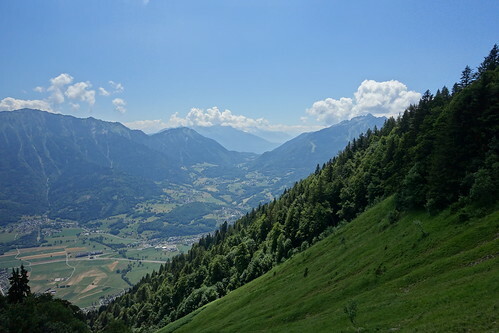 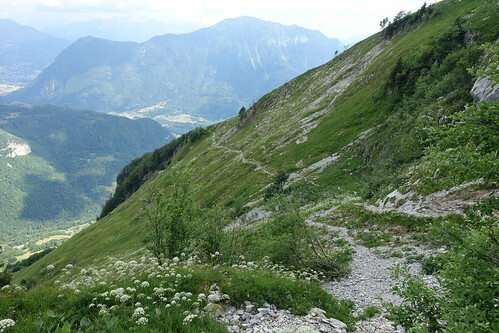 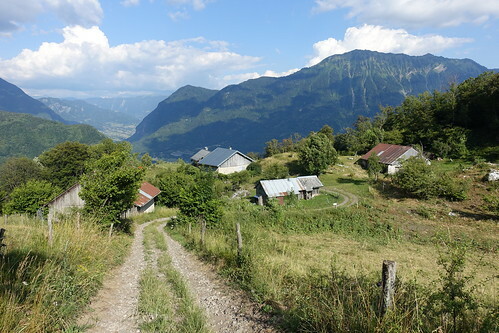 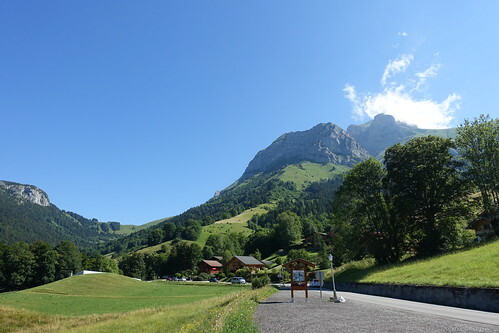 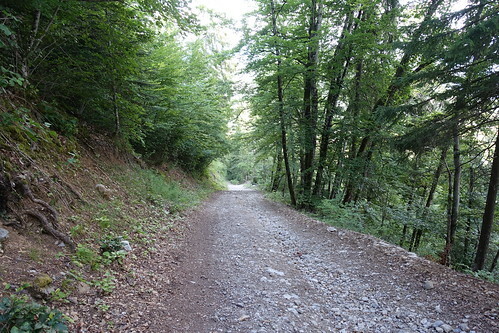 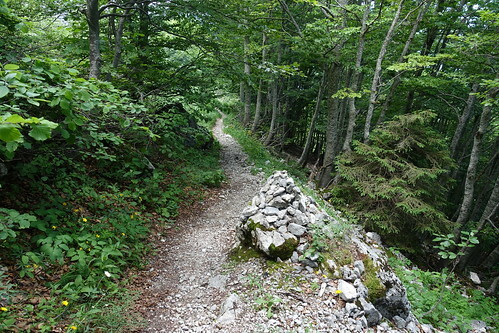 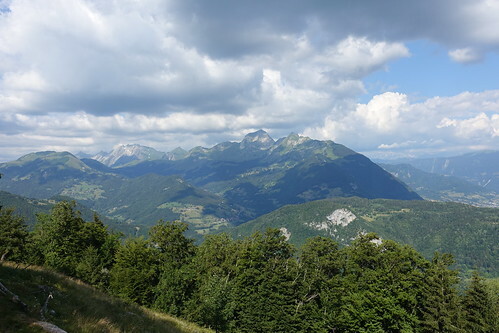 There, I went down towards Chalets du Solliet then took a dirt road to Saint-Ferréol in the valley, where I waited for the LIHSA bus back to Annecy. 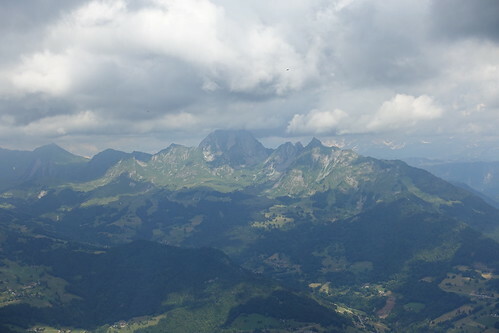 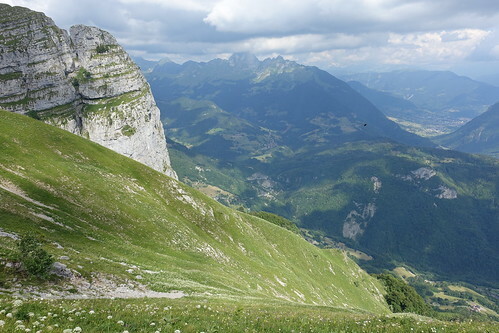 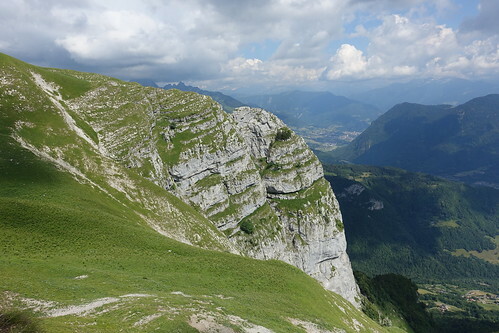 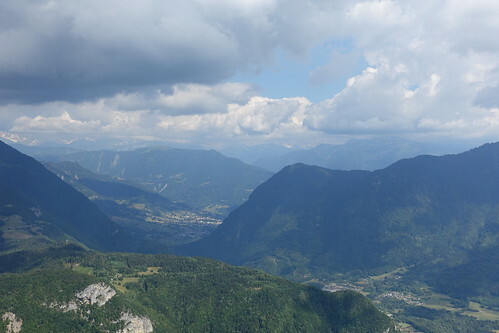 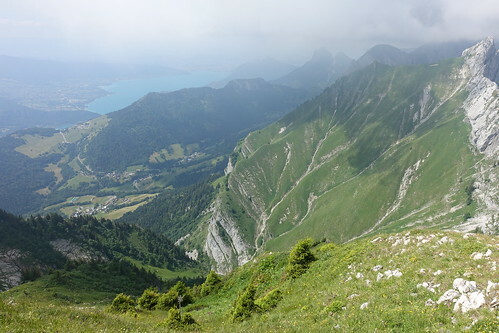 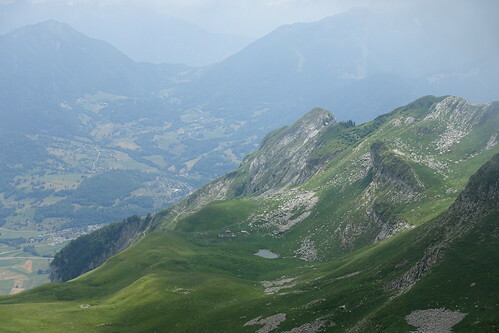 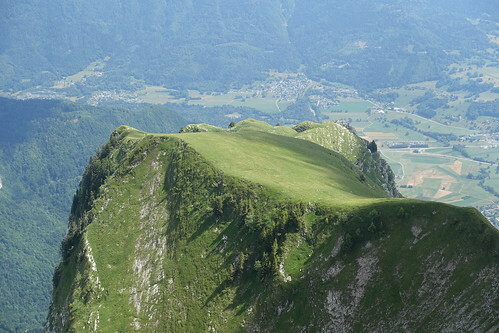 Above, Petit Lac and Bauges. 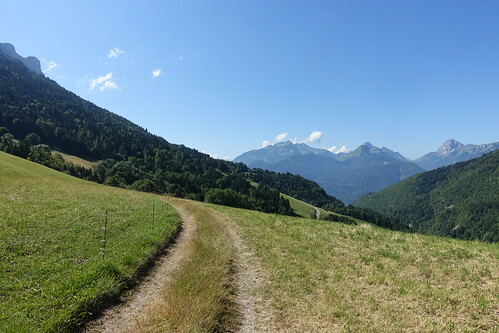 Above, in Montmin looking towards Col de l’Aulp. 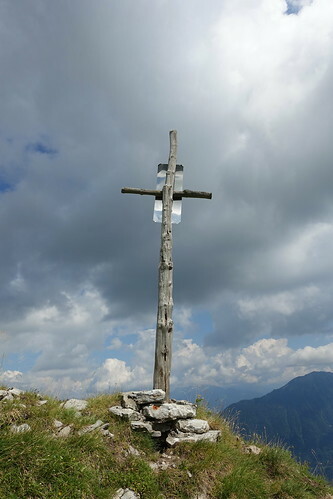 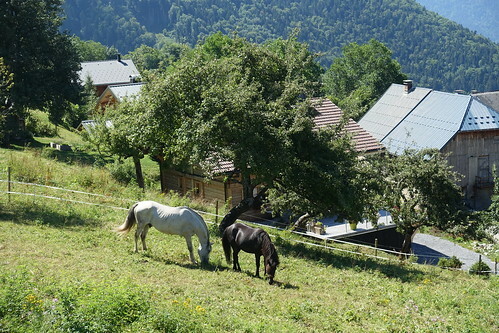 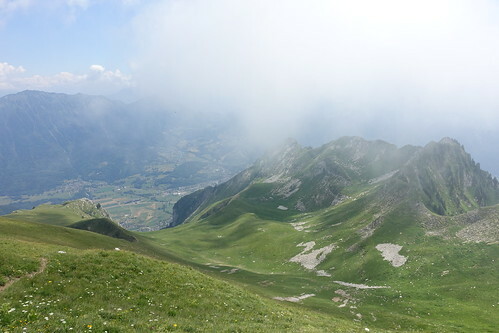 Above, Col de la Forclaz. 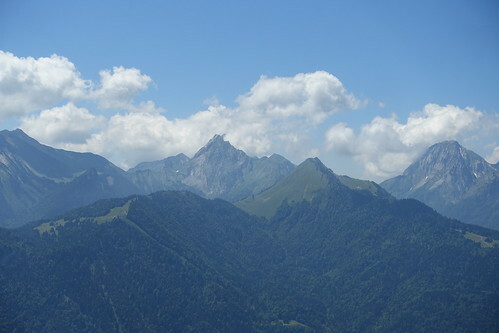 Above, Pointe de la Bajulaz. 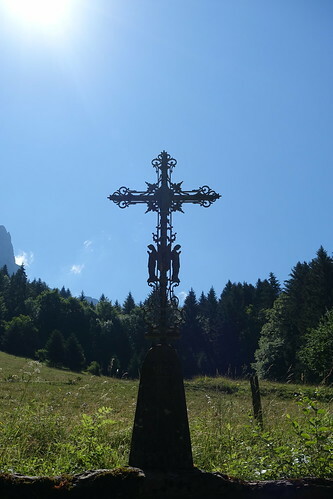 Above, Chapelle des Sept Fontaines. 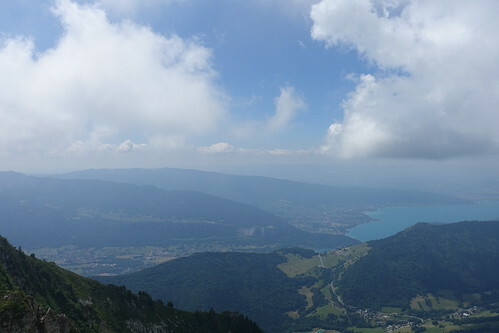 Above, Pointe de la Sambuy. 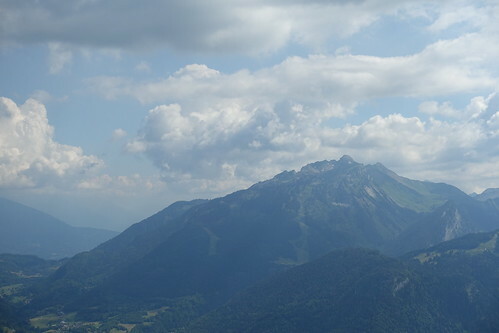 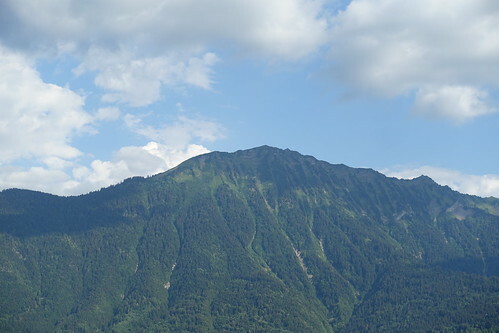 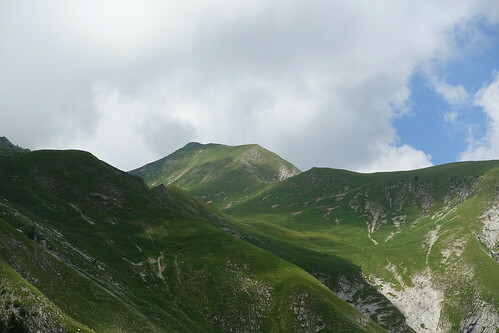 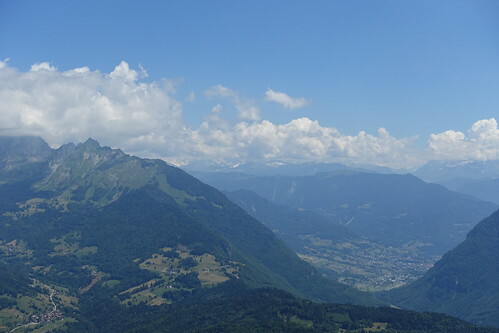 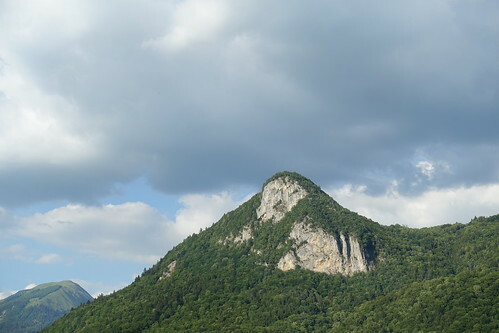 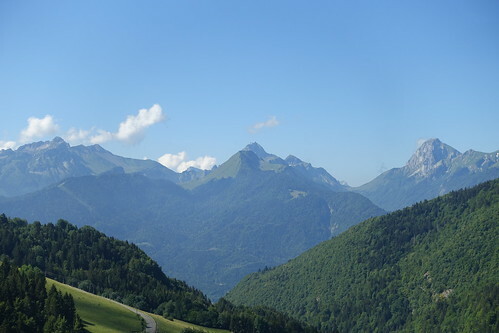 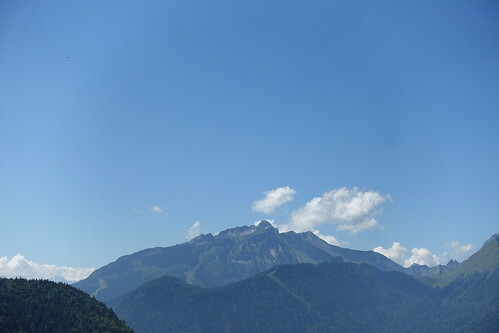 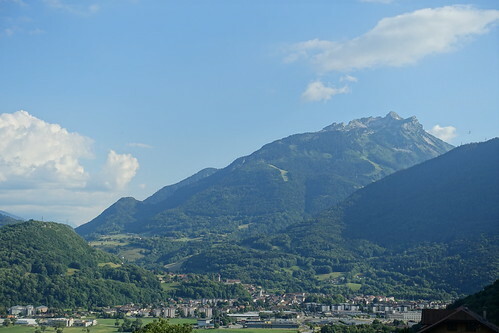 Above, Mont Trélod and Montagne du Charbon. 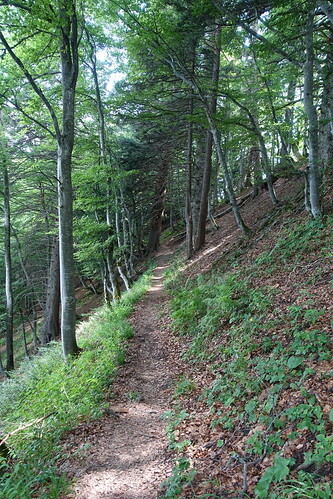 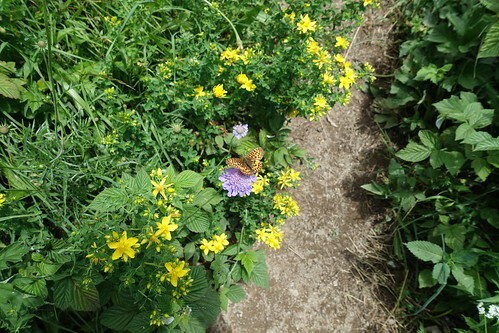 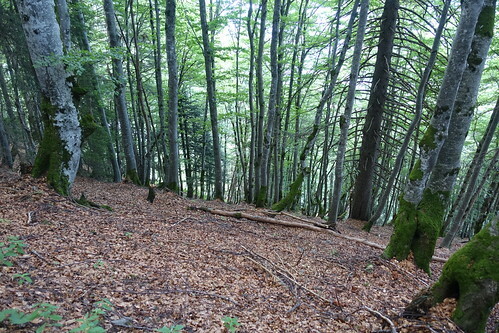 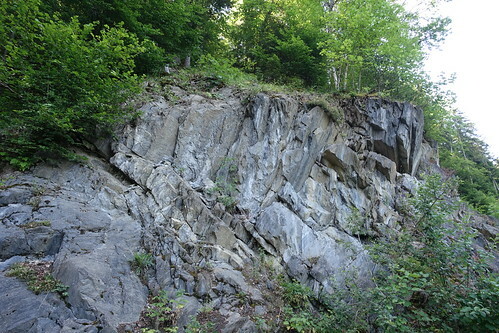 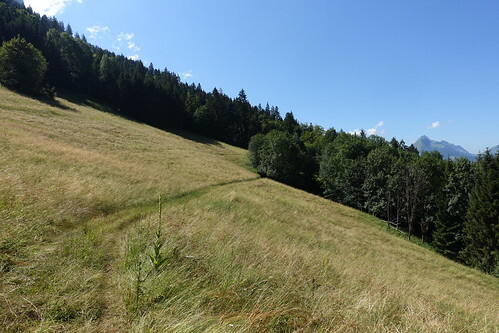 Above, start of the forest trail. 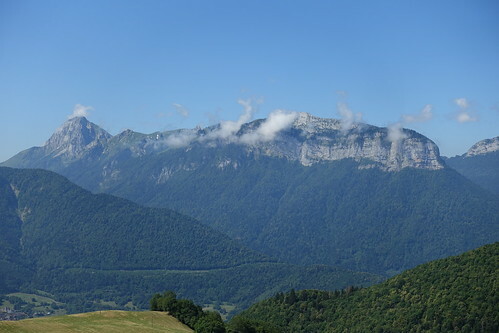 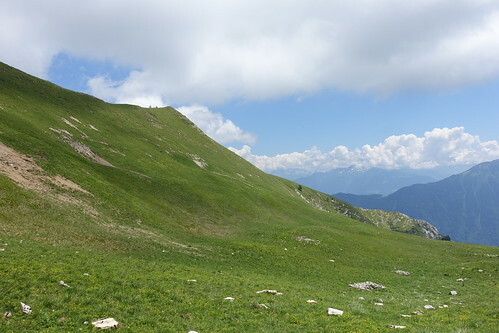 Above, Faverges and Col de Tamié. 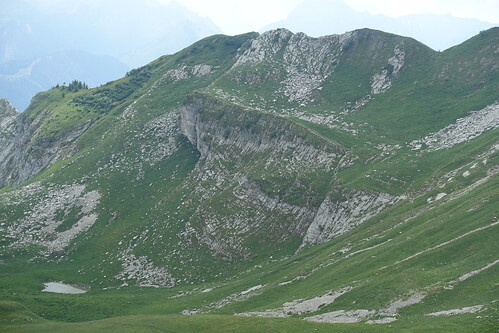 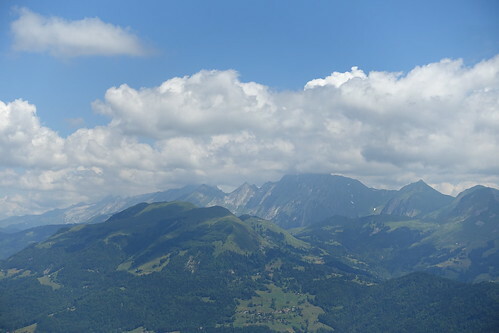 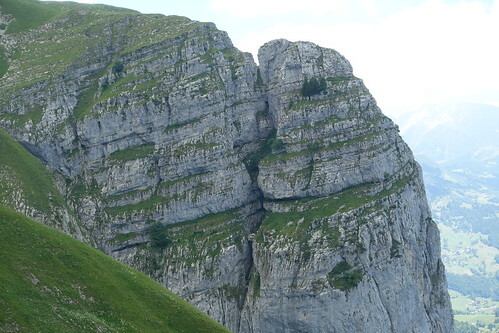 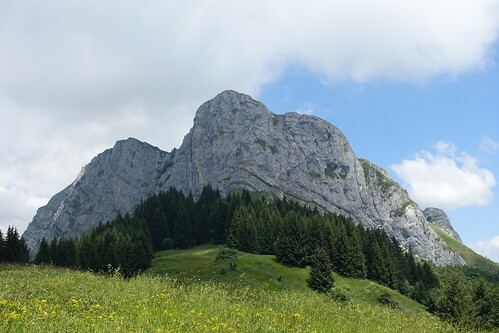 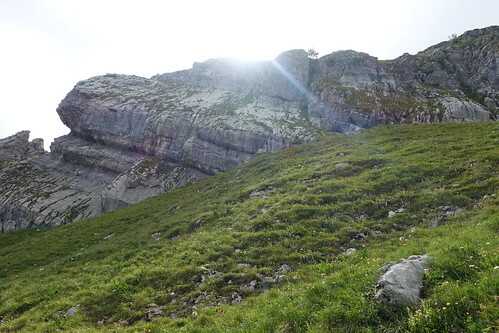 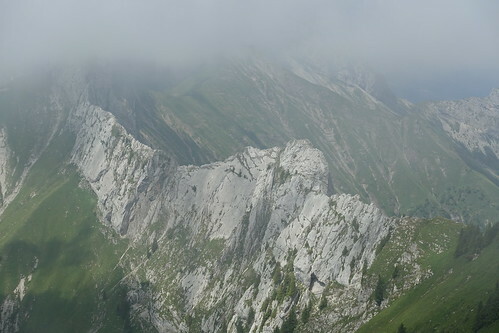 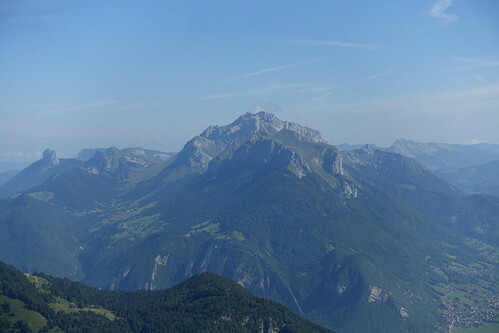 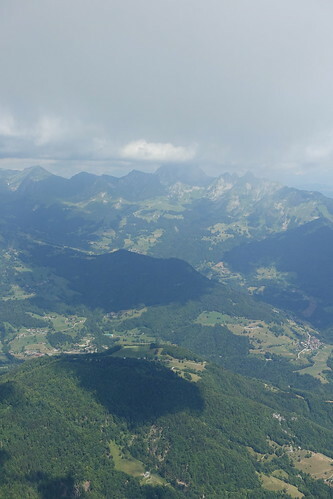 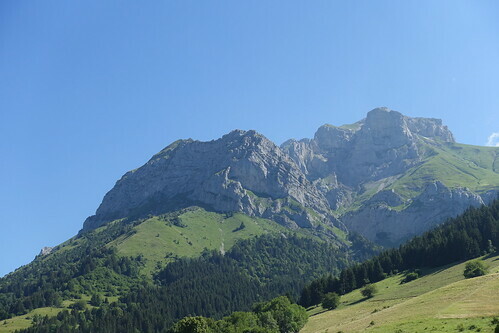 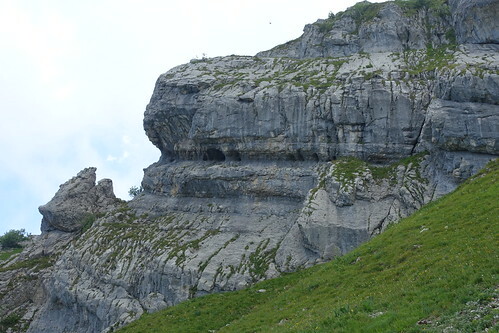 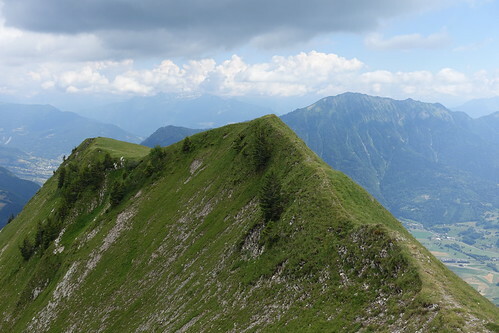 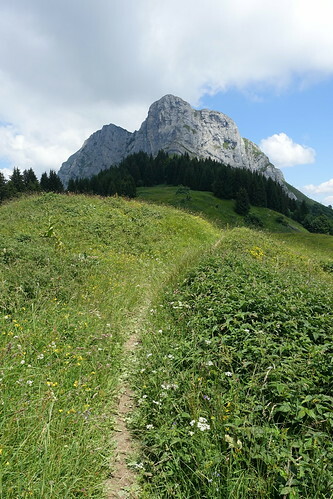 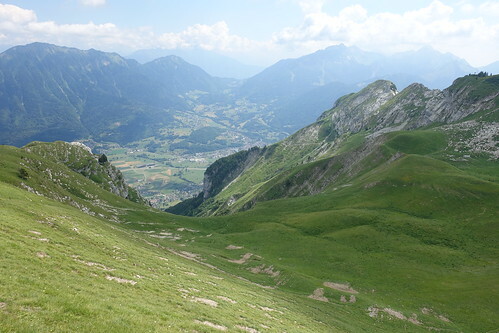 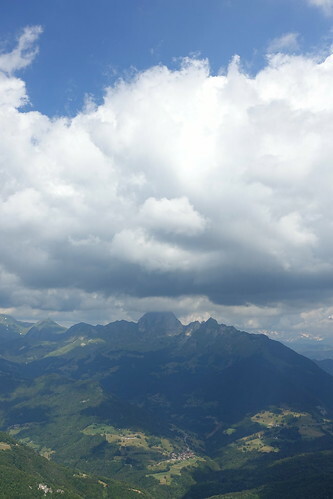 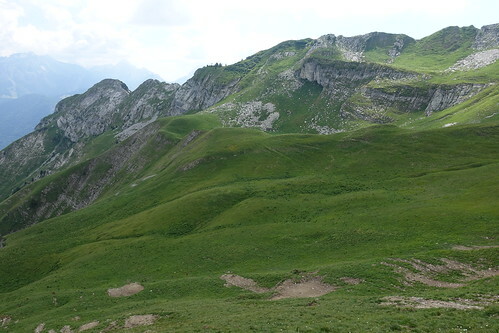 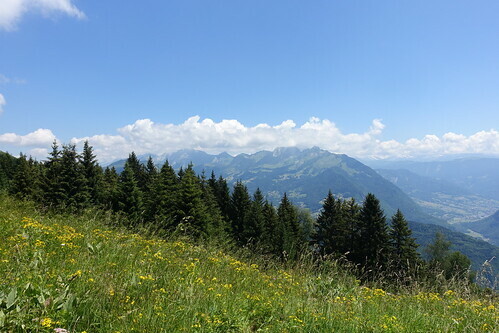 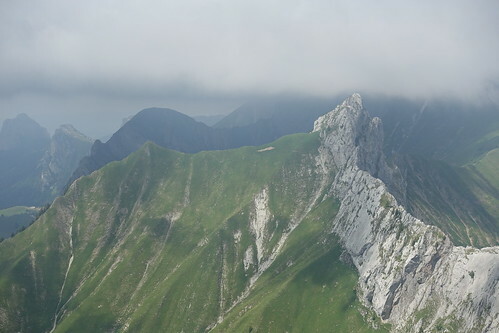 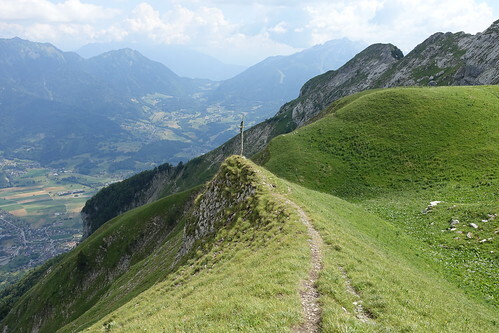 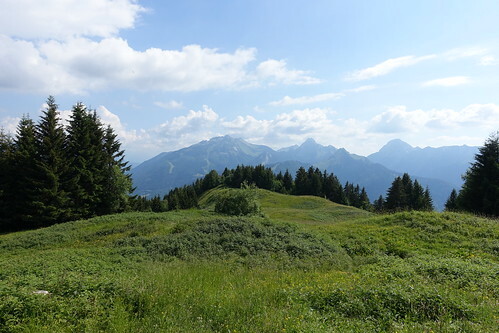 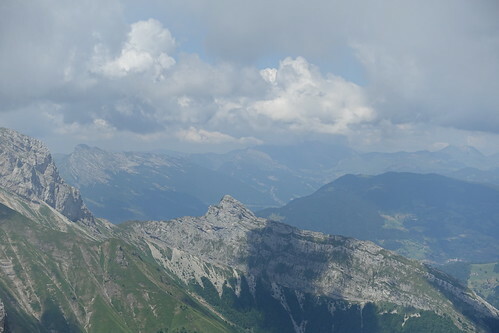 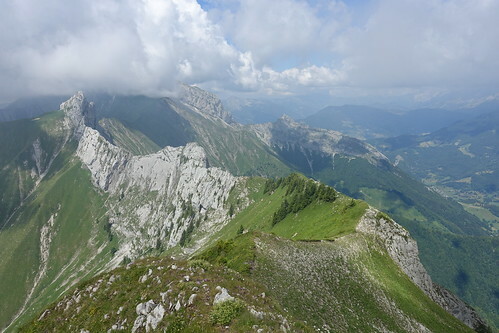 Above, Aravis and Mont Charvin. 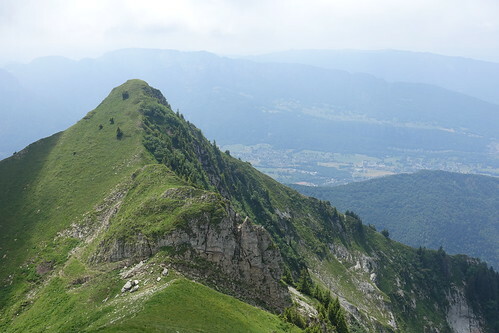 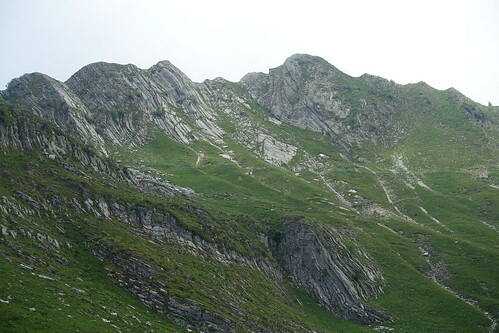 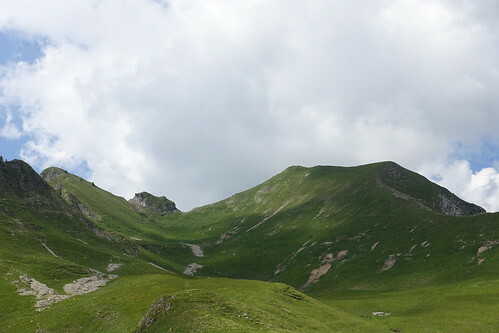 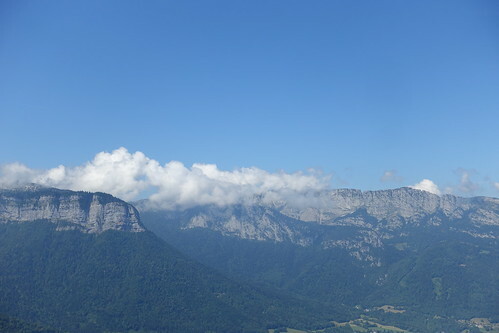 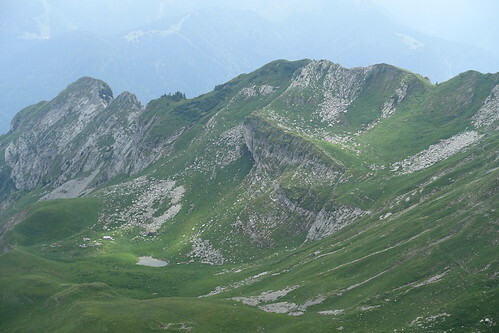 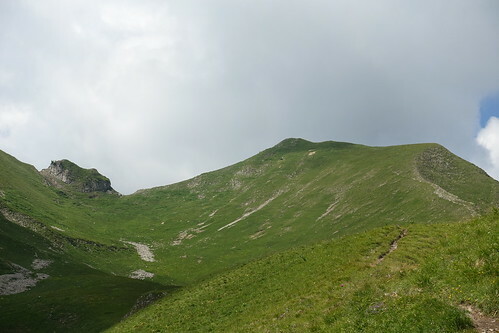 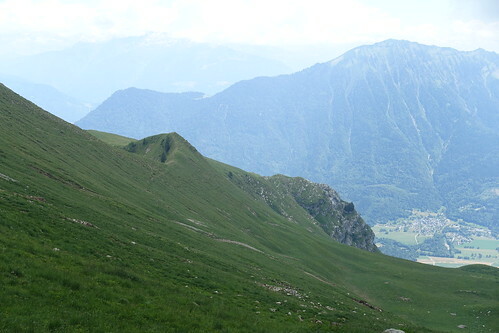 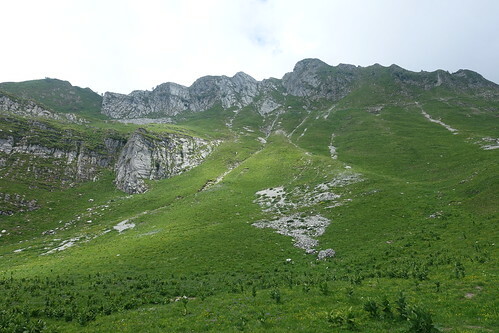 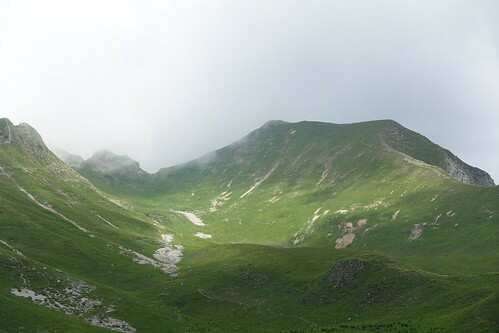 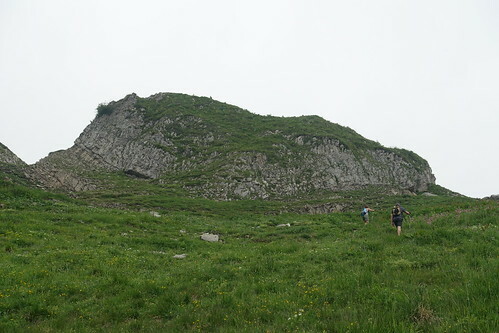 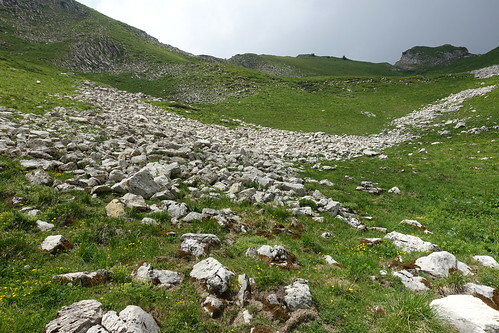 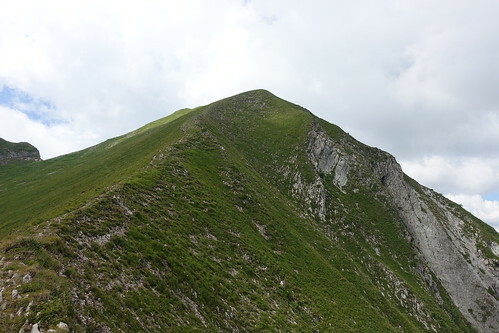 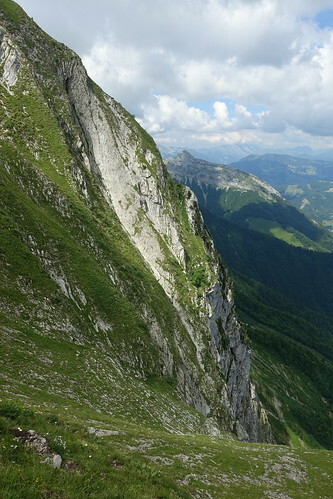 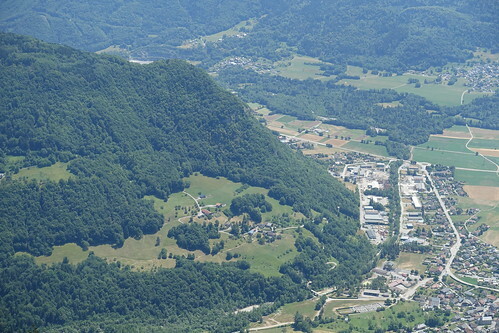 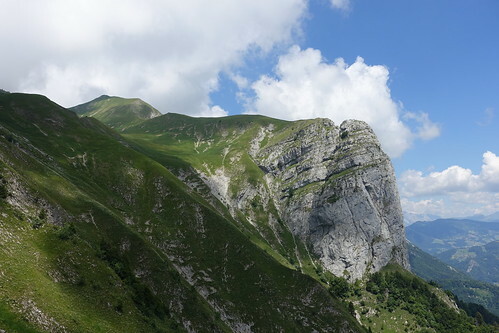 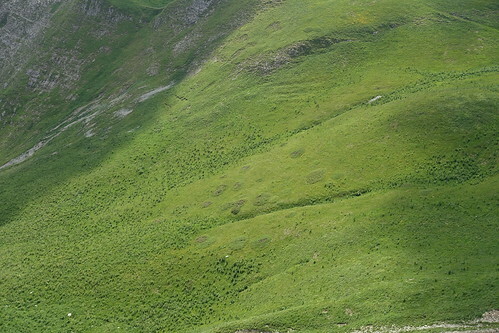 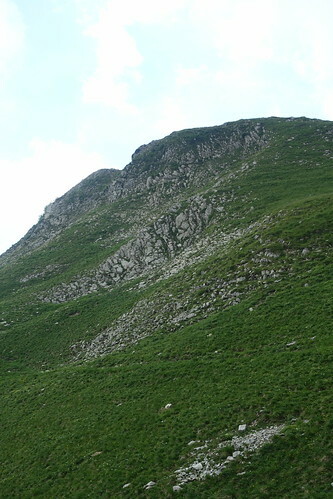 Above, Crêt des Mouches in view. 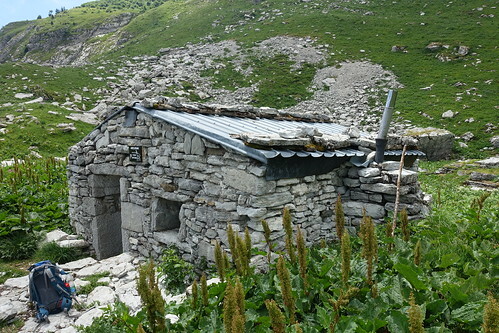 Above, Cabane d’Arclosan below the Crêt des Mouches. 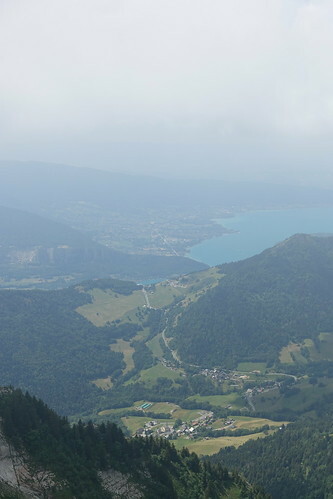 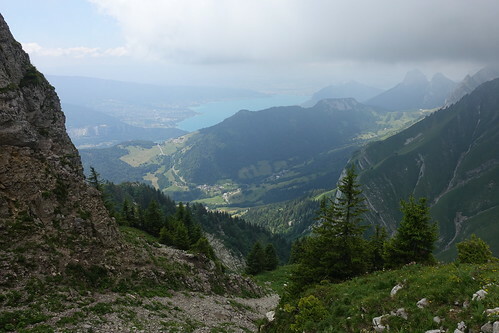 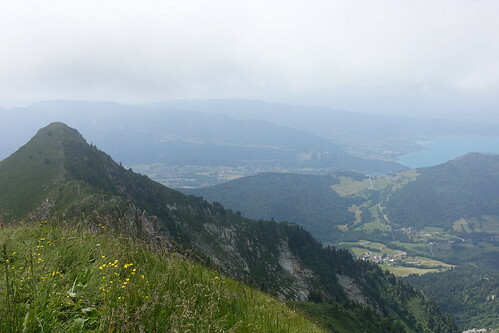 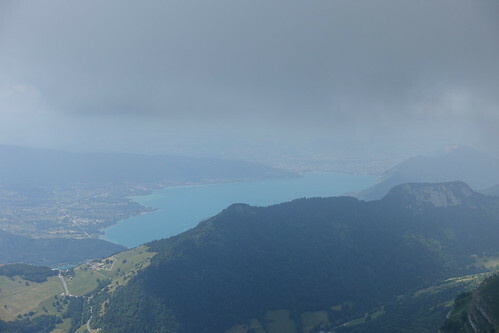 Above, Lake Annecy and Col de la Forclaz on the other side. 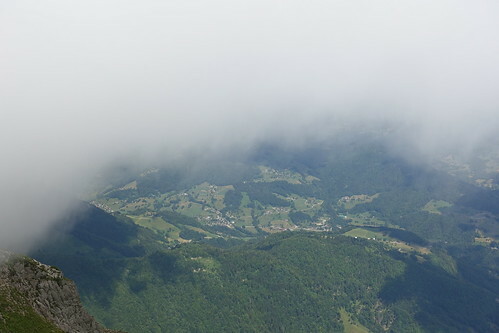 Above, Pointe de la Beccaz and La Tournette in the clouds. 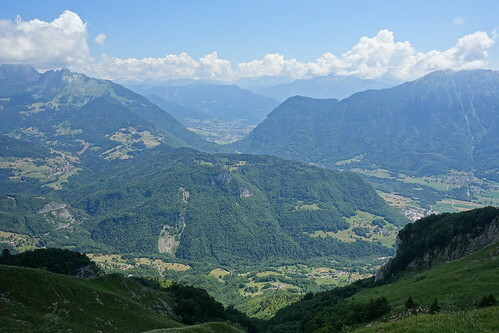 Above, Pointe de Banc Fleury. 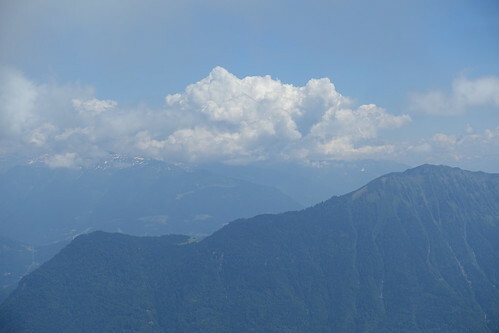 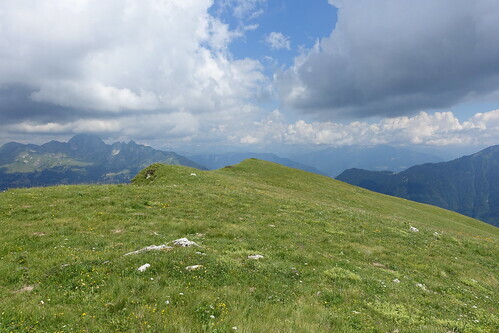 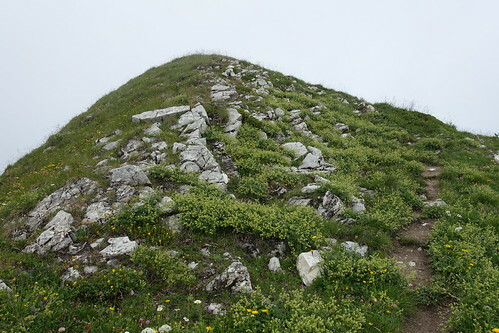 Above, at the summit of Crêt des Mouches. 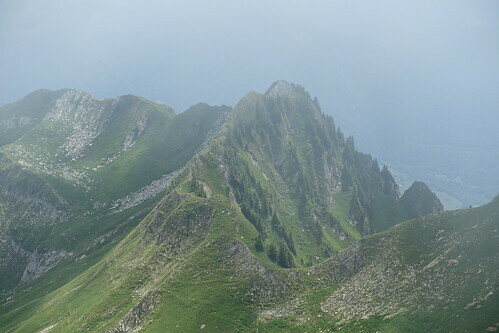 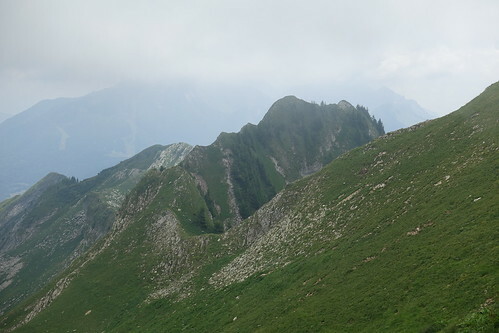 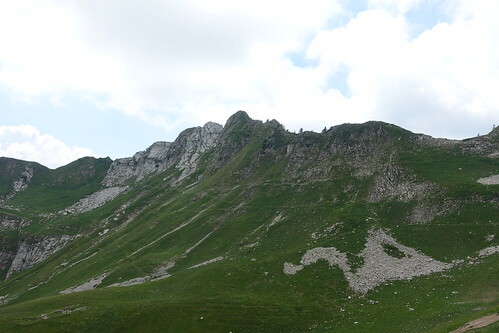 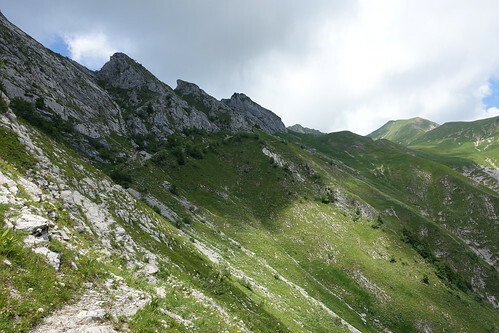 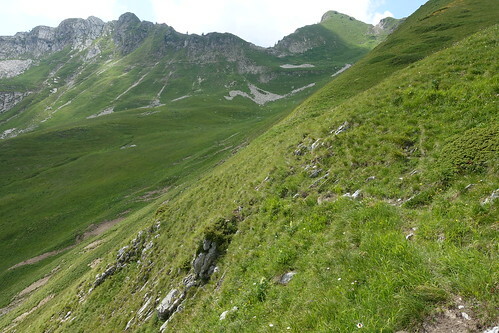 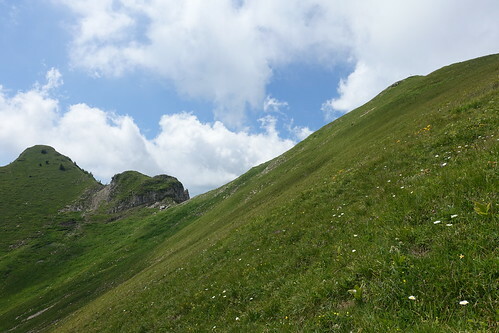 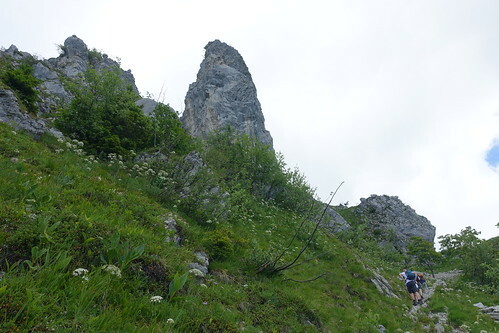 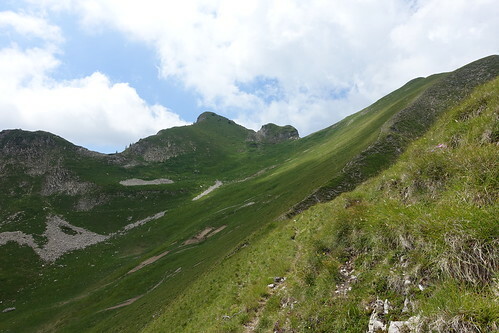 Above, ridge to Pointe de la Beccaz. 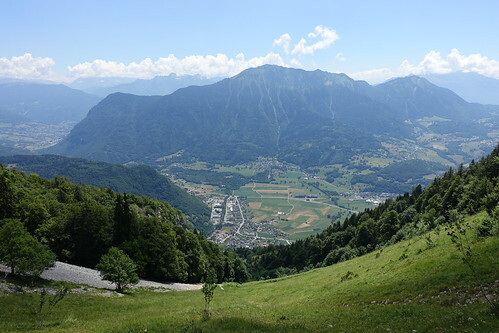 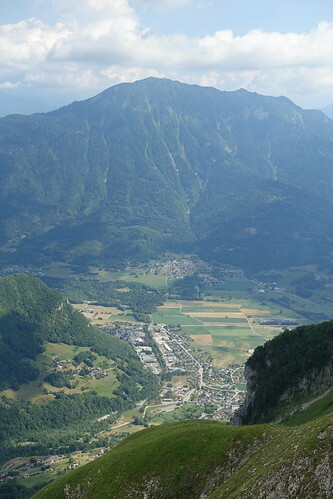 Above, Bauges in the background. 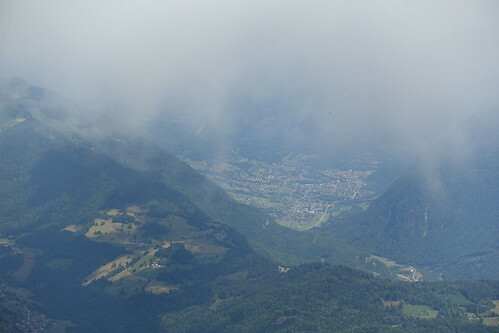 Above, on the way down. 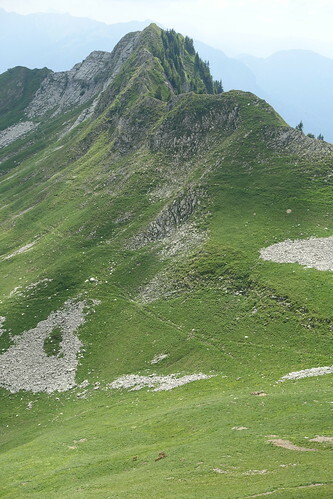 Above, at that point, the trail was no longer visible. 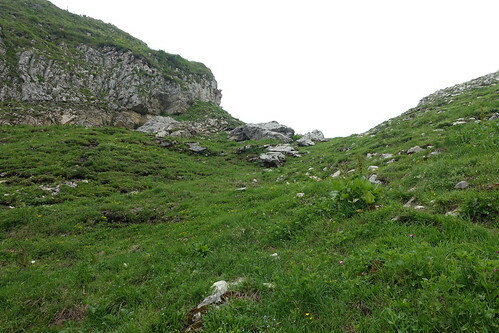 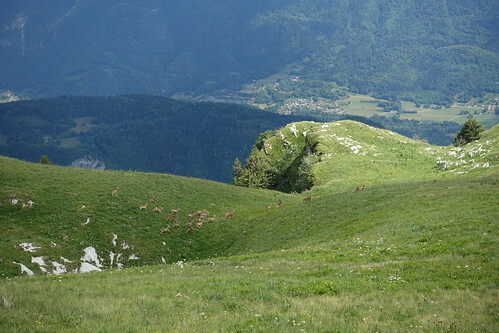 Above, pack of alpine ibexes running away. 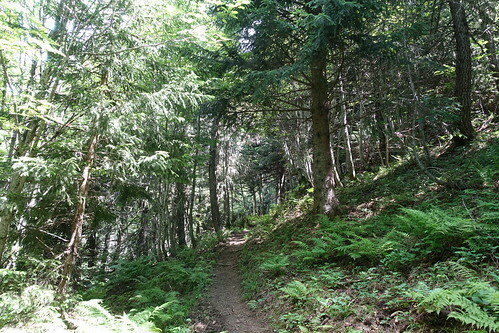 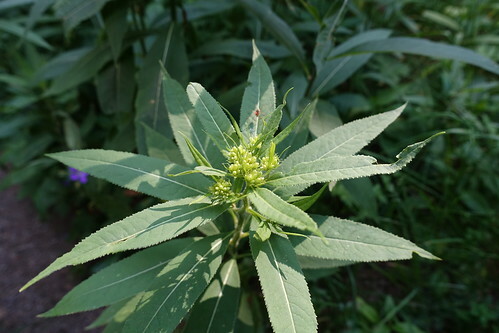 Above, back on the trail. 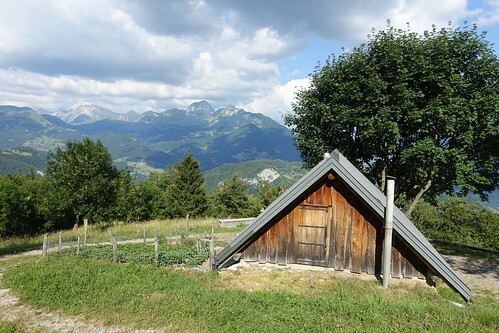 Above, Croix d’Arclosan above the Cabane. 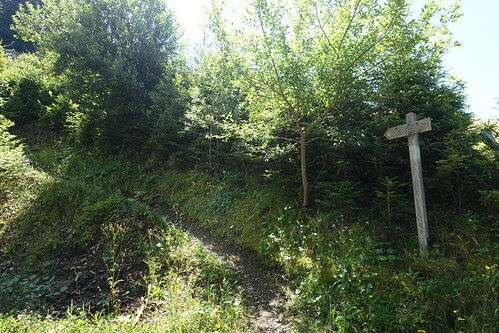 Above, back at Pointe de Chauriande. 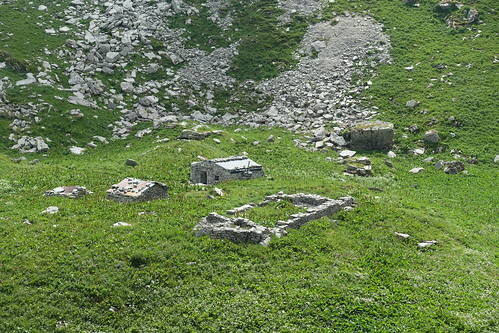 Above, chalet at Plan du Chouet. 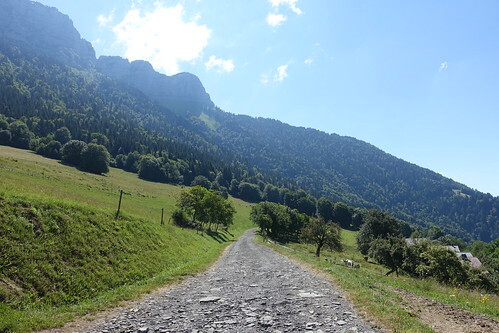 Above, dirt road to Saint-Ferréol.